Grizzly bears are one of the forests' most ruthless defenders. Sharks maintain that mantel for the oceans. Individually, the two of them can hold their own in their respective environments, but together? 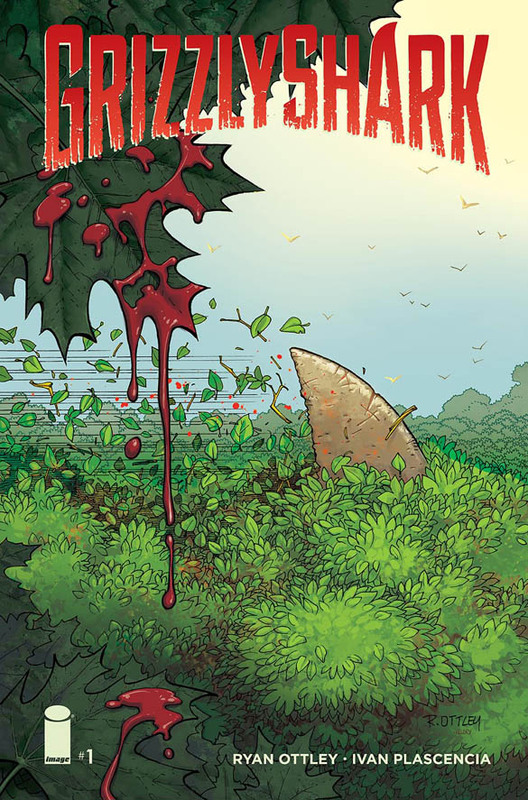 They make something even more terrifying and Ryan Ottley and Ivan Plascencia are teaming up with Image Comics to release Grizzly Shark in glorious color. And they'll be doing new issues as well. Grizzly Shark #1 (Diamond Code FEB160496) will hit comic book stores on Wednesday, April 6th. The final order cutoff deadline for comic book retailers is Monday, March 14th. Full press release below.